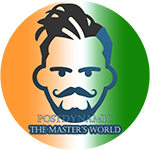 Postdynamic is combination of two words Post & Dynamic. Post is a piece of writing, image or other item of content published online. Whereas, Dynamic is characterized by constant change, activity or progress. So here on this website www.postdynamic.com we are going to provide true, unique and quality content to the visitors. The Goal is to keep our visitors up-to date with the everything we are dealing with on our website. Our Team is working hard by taking responsibility to lead and provide you best content and information. Dharamvir Sharma and Karamvir Sharma. Dharamvir Sharma:- Who interacts with the audience and visitors by posting articles about Technology, how to guides/tutorials and much more like featuring in YouTube Videos. Karamvir Sharma:- Who interacts with the audience and visitors by the various activities like posting articles in different categories and also managing web designing related tasks as well.